Azrael is an extremely driven and motivated female. 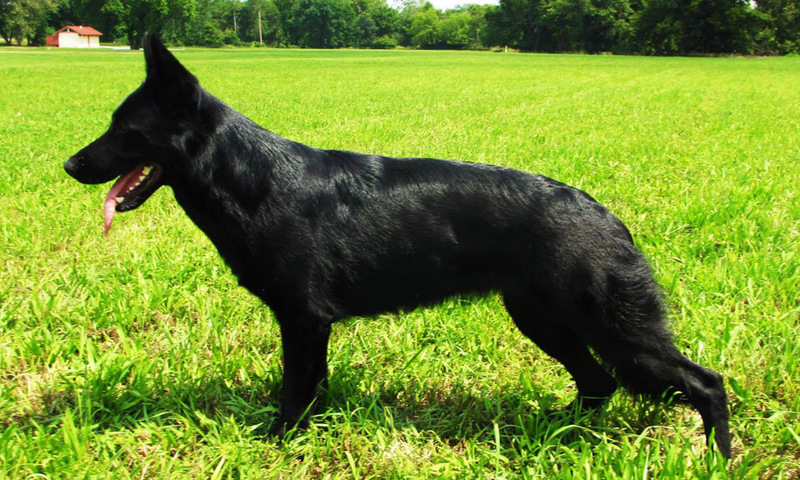 High food drive, high prey, high pack drive, very good hunting skills, dominant, and pushy, yet fair and safe around other dogs and children of all ages and sizes. I really enjoy working this female due to her intensity. 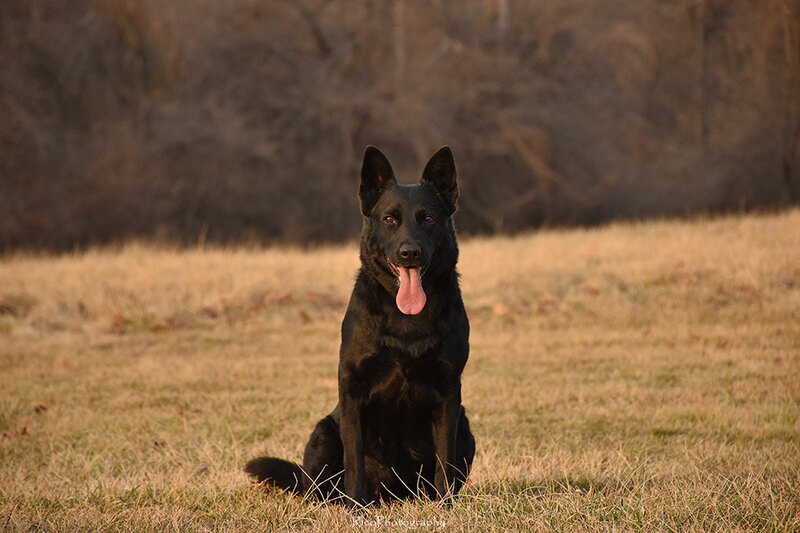 Azrael is a very attention seeking and hard working female, with very nice thresholds allowing her to be a great working dog, and a wonderful house dog. 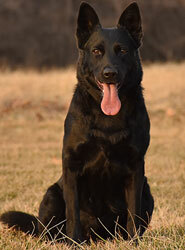 While still remaining very independent, she is extremely biddable and very eager to work for the handler. She has a fantastic on and off switch settling nicely in the home, and turning on like a firecracker in the bitework. She has natural territorial and suspicion at a good level. Very confident and ready to take on anything out of the ordinary. She has never ending energy and is very self sufficient and independent. Azrael was held back from Arka’s first litter with us. She has produced very well for us here and we look forward to continuing our bloodline through her. A medium sized, strongly built female with very good pigmentation. High withers, firm back, croup could be longer/better angled. Very good color, pigment and overall balance. Good angulation in the front, very good in the rear. A head similar to her mothers in that it is strong, but not over done. Azrael has a beautiful ear set, a well sprung chest and good substance. Very serious little girl with a lot of intensity, but a really sweet side. A lot of fight drive to her. Full & calm grips. Fast and hard striking bites in her work. Very methodical but intense tracking. This is a really fun female that reminds me of a border collie she is so athletic. Azrael enjoys dock diving, tugging on the spring pole, swimming, jumping, playing, hiking in her free time.